TVNZ 1 at last will screen the final season of the best drama series on the network, American Crime. Like its predecessors, season three will air late-night — 11.00 Mondays from August 14 — but at least the gap between its US and NZ premieres will be only five months, the shortest yet. Does cancellation equal banishment? 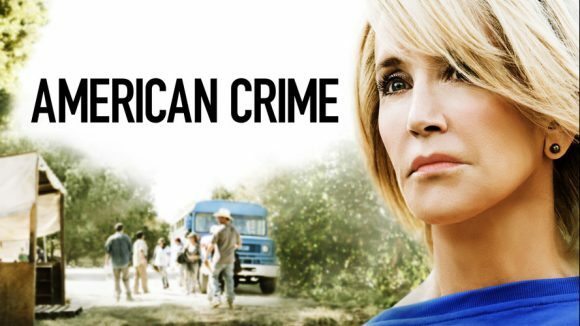 American Crime, despite low ratings, earned Emmy nominations and wins for its first two seasons, but after ABC axed it following Season 3, so did the TV Academy. But stars Regina King and Felicity Huffman again are in the running for a best actress Emmy Award. If King wins on September 18 (when Sky’s Vibe will air the ceremony live), it will be her third consecutive win for the series. But The Hollywood Reporter reckons 2017 might be Huffman’s turn, with creator John Ridley easing off “after two seasons of writing her as an only occasionally sympathetic villain. She plays the wife of a tomato farmer in North Carolina on whose land an illegal migrant worker tragedy unfolds.